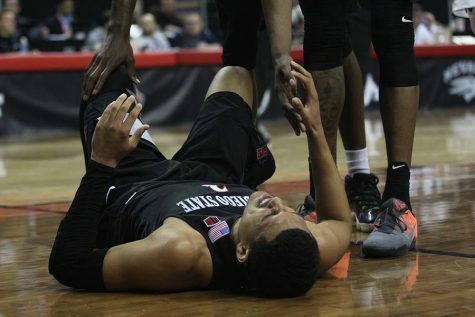 Everything was falling in place for another nail-biter, last-possession thriller, for the San Diego State men’s basketball team but a huge second half allowed the team to pull away from San Jose State on the road, 78-56. The win guaranteed SDSU (20-7, 13-1 Mountain West) at least a share of the MW regular season title and marked the 12th time the Aztecs have tallied 20 wins under head coach Steve Fisher. While matchups can be a tale of two halves, this game was a tale of halves within the halves. 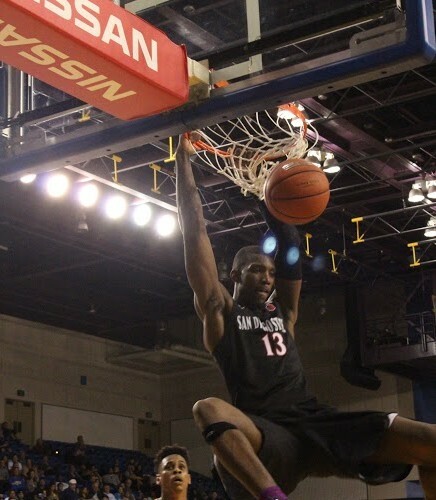 The Aztecs opened the match on a 25-11 run and used a 35-16 run to secure a 22-point win, but the Spartans were within a couple possessions in the middle 20 minutes of the match. 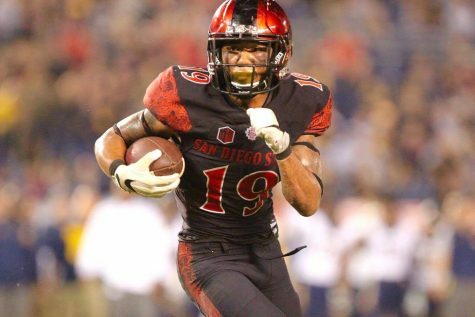 In usual SDSU fashion, the Aztecs blew a double-digit lead and appeared to be locked in for a close matchup down the stretch, but the defense settled in and strangled the Spartan offensive attack. 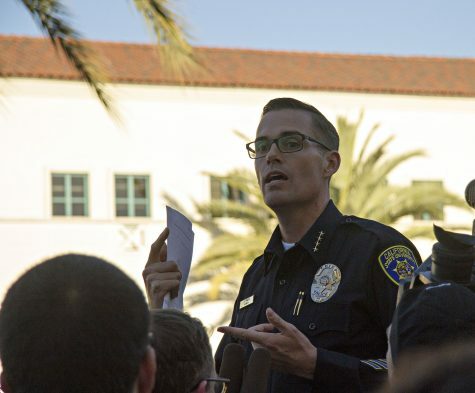 After blowing a 14-point lead and SJSU matching SDSU blow-for-blow in the first eight minutes of the second half, the patented suffocating defense of the Aztecs tormented the Spartans. 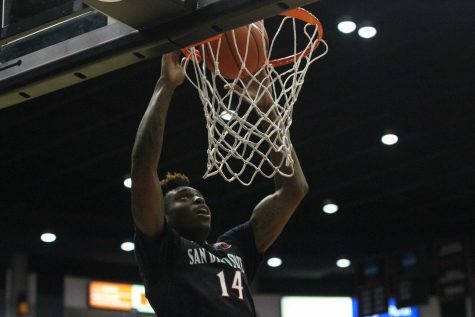 Fisher pulled out the full-court press and SJSU had no answer as the Aztecs trapped and forced multiple erroneous passes, which allowed them to run in transition and utilize their superior athleticism. Senior forward Winston Shepard and sophomore forward Malik Pope were the major beneficiaries of their final run. 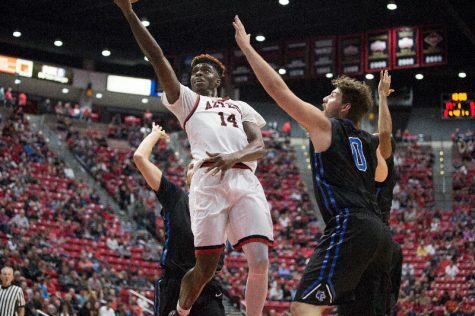 Shepard ended the game with 17 points, seven rebounds and seven assists and Pope recorded the first double-double of his Aztec career with 17 points and 11 rebounds. 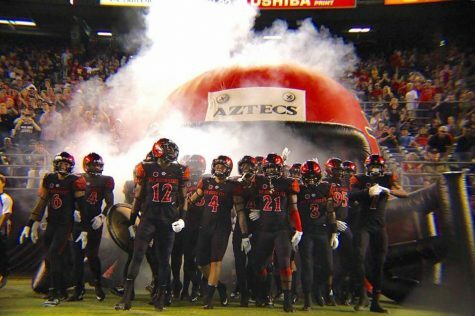 While the Aztecs were flying high at the end they were grounded midway through the first half due to porous defense. 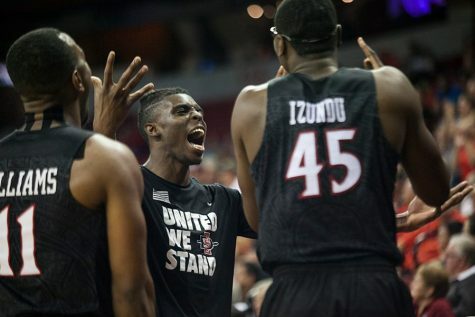 While that may be true for most teams, it couldn’t be further from the truth for the Aztecs. There is no denying the potency of the team’s defense and the players ability to turn that into offense, however, when the defense is not firing on all cylinders the offense stalls. The Aztecs jumped to a commanding 25-11 lead with eight minutes left in the first half on back-to-back 3-pointers by Pope and sophomore guard Trey Kell. Defensively, SDSU was contesting every Spartan shot and turning those missed attempts into successful trips on the other end. SJSU came out of the timeout with a barrage from 3-point range and kept the Aztecs off balance for the rest of the half. Forward Cody Schwartz took advantage of a sagging SDSU defense and hit three straight 3-pointers to pull the Spartans within six. 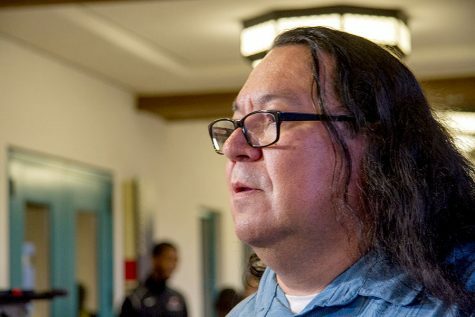 Not surprisingly, while the defense was unable to contain the SJSU shooters, the halfcourt offense struggled for the Aztecs and watched the SJSU cut the lead to four heading into the halftime. 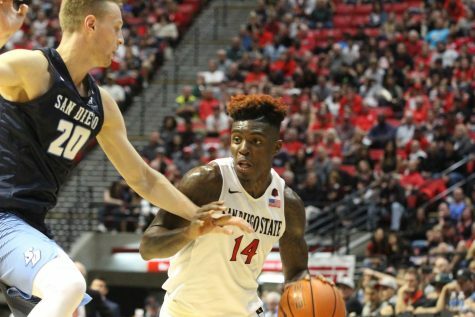 After missing the matchup against Air Force Academy and not participating in any practices over the week off, freshman guard Jeremy Hemsley came off the bench and recorded 13 points and three rebounds in 22 minutes. The team will now hit the road for a 7 p.m. match next Wednesday at University of Wyoming.